Give your toddler the space to succeed. Cultivate your toddler’s inner explorer. Your toddler is ready to explore and learn everything about the world around them. At Kidstown Learning Center in Lake Worth, we’ve cultivated a stimulating environment for them to continue that exploration safely. In order to provide the best care for every toddler, we always involve the parent. As the parent, you know your child the best. When we coordinate with the parent, we can make sure that each toddler is achieving their best and is set up for success in prekindergarten and the rest of their schooling. We would love to give you a tour of our daycare and give you the chance to meet our amazing caregivers. Give us a call today and let us know what questions you have about our daycare services! 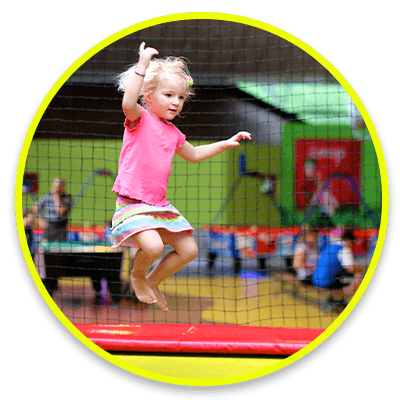 • An environment where toddlers develop social, physical, and intellectual skills. • Breakfast, lunch, and afternoon snack provided daily. • Nap time from noon until 2 p.m. to make sure your toddler is rested when you pick them up. • A structured classroom to help them transition from daycare to school. • Daily reports about routine and special interests of your toddler. Toddlers want to explore and discover their own world. That’s why toddler daycare requires a more specialized approach than traditional child daycare. And, that’s why you can trust the toddler experts who foster a loving, learning environment at Kidstown Learning Center in Lake Worth. Our toddler daycare services provide excellent tender loving care in a bright, cheery atmosphere. Just as your baby will change when entering the toddler years, his/her childcare needs will also change. Finding qualified day care programs for toddlers in Lake Worth does not have to be a difficult task. Toddlers need a warm and nurturing environment to develop their physical, social and intellectual skills and concepts. Our teachers know to help them master those fundamentals concepts. Our teachers will send home daily reports that include information of the daily routine as well as special interest of the children. Kidstown offers a great daycare program for toddlers in Lake Worth, complete with caring, loving and knowledgeable teachers that will guide and help your toddler through his/her first year of age. Our toddlers will have breakfast, lunch and an afternoon snack daily. They will also receive nap time from noon until 2 p.m.
Interaction with other children help toddlers develop their social skills. The classroom offers a more structured environment which will help your toddler transition from their first stage to the school. For us, it is very important to work with parents because the more they are involved. ed, the better are the chances for your toddler to succeed in prekindergarten and at school later on. Kidstown Learning Center is located in the Lake Charleston Community, right next to our friendly neighbors at Manatee Elementary. 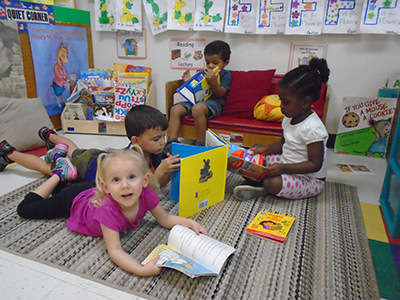 Our toddler daycare serves the area of Lake Worth, Boynton Beach, Wellington, and Green acres. Come in today to learn more about our daycare services. Want To Talk More About Toddler Care?